Yes, Minimalist Monday is back and what better subject to start back with than 'hygge'. 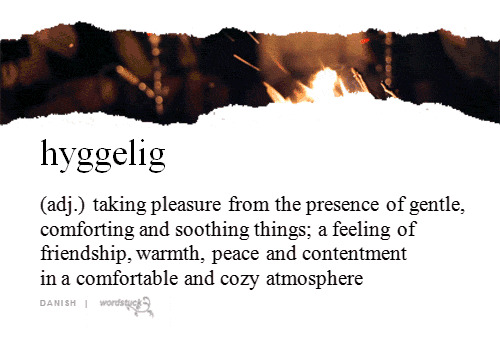 Hygge (pronounced heu-gah or hoo-guh) is a Danish word that has no direct equivalent in English. The nearest translation is probably cosiness but a one word translation does not do this blithe word justice. Hygge is evocative of spending time with others, of enjoying the moment, feeling connected and finding balance and warmth. There's an art to hygge – it's about caring (for yourself and others), not striving for perfection and finding sanctuary amongst the everyday hustle and bustle of modern life. For those of us who yearn for simplicity hygge can help. It doesn't require a new look (monotone, handcrafted wooden spoons, sheepskin rugs – you know the thing), a certain type of home or glamorous friends. There's an easy, unselfconscious art to hygge. Grab a blanket, some satisfying food and drink, close friends, a good read, a summer picnic or a barbecue and embrace hygge. We do these things already you might think but do we really make enough of them? Isn't it time we disconnected more from screens and connected more to the moment, ourselves and our loved ones? The Danes who are world leaders in happiness find balance, shared moments and quiet contemplation in their everyday lives. I think we can learn from them. Good hygge, my friends. What a fabulous concept, what a fabulous word. This is exactly what I need to do! Lovely! I am not so good at embracing hygge but I shall try a little more this year. I followed Kristie's (North of 49) monthly Hyggpe posts last year and kept thinking that I should try take a more Danish approach to life. Thanks for reminding me. What a brilliant concept. 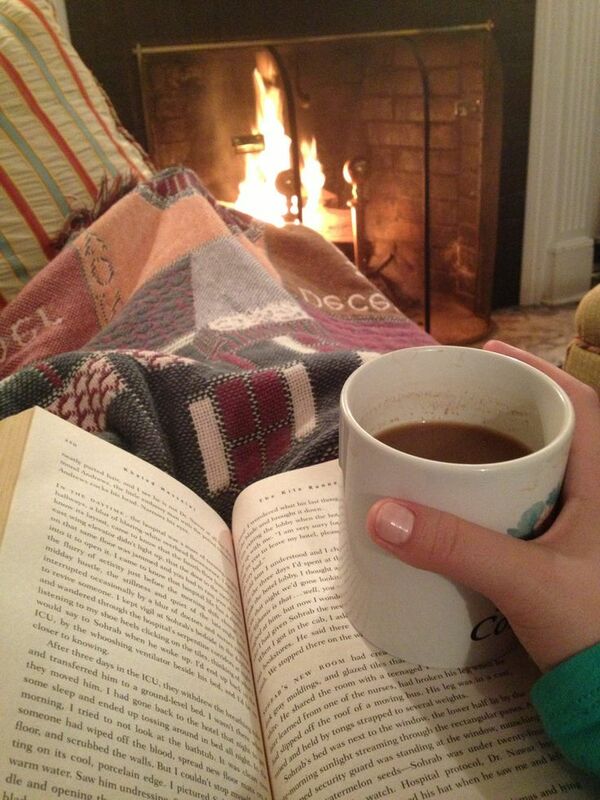 I must endeavour to put a little hygge into our own lives which can sometimes be manic. The blog, Notes From The Frugal Trenches had a great post on this concept on Jan. 3. I enjoyed Hygge a couple nights during my daughter's winter break from school and it felt absolutely luxurious (and no money spent!) ... it was wonderful! A welcome return of Minimalist Monday! A lovely concept that we should all try to do. I seem to lose track of time when I use the tablet, so I might try my best to stop using it so much. What I don't like about tablets is the fact that you are more involved with what's on screen, instead of what's happening around you.